What is the Nunez Monitorship? The Nunez Consent Judgment is the result of a settlement of the Nunez class-action lawsuit brought in 2011 on behalf of current and future inmates of jails operated by the New York City Department of Correction, alleging that the Department had engaged in a pattern and practice of unnecessary and excessive force. Following an investigation by the United States Attorney’s Office for the Southern District of New York (“SDNY”) relating to the treatment of young male inmates, which found a pattern and practice of excessive and unnecessary use of force, the failure to adequately protect inmates from inmate-on-inmate violence, and inappropriate placement of 16- to 18-year-old inmates in punitive segregation for excessive periods of time, the SDNY intervened in the Nunez action. After lengthy litigation of the Nunez class claims and the SDNY findings, and after many months of intensive negotiations, the parties reached a comprehensive and detailed Consent Judgment designed to remedy the alleged unconstitutional practices in the Department’s facilities. Following the settlement, the Court appointed Steve J. Martin as the Monitor. Since the inception of the Consent Judgment, the professionals at Tillid Group have been an integral part of the Monitor’s team to manage the implementation and compliance assessments of the Consent Judgment. Tillid Group’s Nunez team consists of the Deputy Monitor, Associate Deputy Monitor, an Associate Director, and Senior Data Analyst. The Monitor, Tillid Group, and three additional outside Subject Matter Experts, comprise the Nunez monitoring team, reflecting diverse professional backgrounds, experiences, and perspectives that help to ensure that the monitoring team’s work is neutral, independent, and reasonable. Below is a link to download the Consent Judgment and other relevant documents. 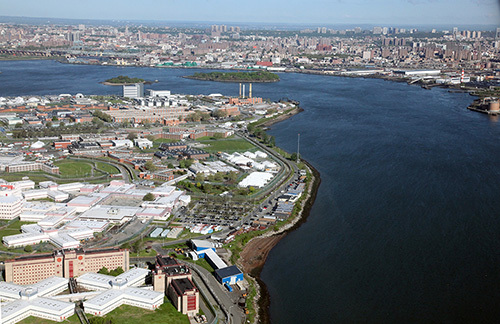 The Nunez monitoring team issues routine reports that provide a summary and assessment of the work completed by the New York City Department of Correction and the monitoring team to advance the reforms in the Consent Judgment. Below are other status reports filed by the monitoring team, and orders issued by the Court. Below are orders and agreements among the involved parties regarding the confidentiality and/or use of the documents developed and produced by the Department and the Nunez monitoring team.